It'll never be over for me! I remember precisely a moment in time; standing in the Scene Club and the dj playing 'Harlem Shuffle' - I was hearing it for the first time and it hit me in an instant- the music, the dancing, the style, the people - everything was just right - it felt like a perfect moment - and i'll never forget. It was 1984 when it all started for me, although I had been interested in 60's images and music since I was quite young. 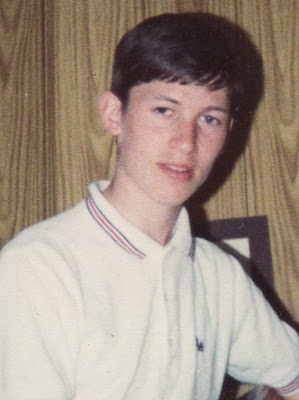 I remember we had Len Barry's '1,2,3' in the house and I used to play it all the time before I even knew what mods or anything else was, but it wasn't until I was 14 that I knew I wanted to be a mod. We had moved from a small town to Glasgow and I would see mods around the city centre all the time. Then one Saturday afternoon nearly a 100 of them came walking past me, a couple stopped and said they were all going to a party and I should come along. I was overwhelmed and I didn't go with them but the next weekend I went down to the marketplace, where I knew mods hung out, and soon enough some mods came past me and I started to follow them - a girl asked me what music I like - I said "The Kinks and Otis Redding" - she said "You can come along with us then!" 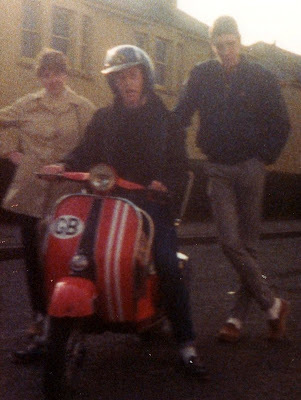 There were still 100's of mods around in Glasgow at that time but the scene had been even bigger at the start of the 80's. Unfortunately, when there were so many mods around some of them would divide into territorial gangs (East End Mods, North Glasgow Mods etc) and occasionally fights would break out in the clubs between the mods in one part of the city and another. It was these fights which eventually got Glasgow's Scene Club closed down. However, most of the time we stuck together, hanging out in regular places in the city and making trips to some seaside town on the bank holiday. It was a fantastic feeling, heading off on the train somewhere, listening to great music, dancing on the beach, and 100's of cool looking people all around you. Towards the end of the 80's the scene had started to die down. People I knew had got jobs, got into relationships or just drifted off into other things. 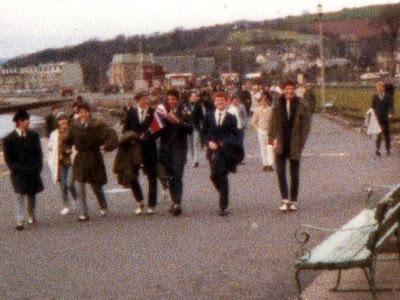 For most us we still liked the same music and wore a lot of the same clothes, we just weren't into these things exclusively and didn't call ourselves mods. I left Glasgow in 1989 and never saw any of the old gang until 20 years later. In 2007 I discovered the Friday Street club, organised by a few of the mods I knew from the old days, and the Glasgow Mods website. Unfortunately, the Glasgow Mods website lost it's way so I started my own site - The Mod Generation. On the Glasgow Bank Holiday weekend we organised a day out to Balloch, like our day trips of old. This was followed by a night of mod sounds with the original dj from the Scene Club. It would be impossible to describe the depth of emotions on the night. There were over 200 faces old and new and, for the old ones, most hadn't seen each other for over 25 years - for some the last time they did meet was 'face to face' in a punch up in the old Scene Club! The people from Friday Street also organise a yearly Glasgow Mods Weekender, which has become one of the biggest events in the UK mod calendar, and the whole mod scene in Glasgow is going from strength to strength. As well as the older faces turning up there are more and more younger mods getting involved, who are bringing their own style, new ideas and a fresh approach to modernism. I'll never forget that first rush of excitment - standing in the Scene club, hearing that music and watching those people dancing - and, standing in Friday Street, over 25 years later, it's the same buzz of excitment from the music, the fantastic styles and the friendship - it'll never be over for me!